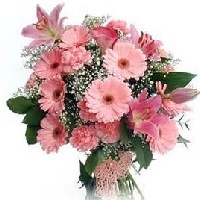 Celebrate the new arrival with new baby flowers and gifts, Send new baby flowers to congratulate on the new arrival to proud parents. 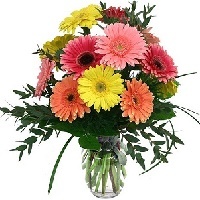 Buy Newborn Baby Flowers and Baby Gifts On-line and delivery to the Home or Hospital. 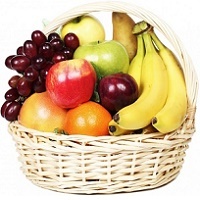 A delicious fruit gift hamper that will surely make New Mother healthy & smile. 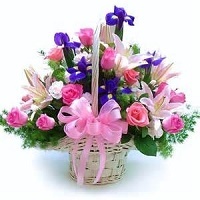 100% satisfaction guarantee with all New born gifts. Best Choice of New Mother. 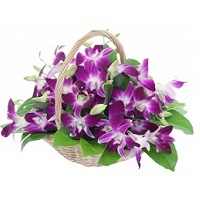 Send fresh delicious fruits in a basket with message. 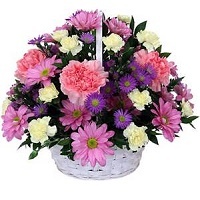 Basket arrangement filled with mixed flowers. Suitable for new born bay wishes. 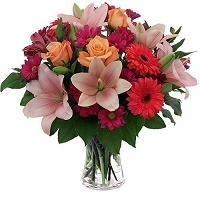 Yellow gladioli and orange roses arranged in a pot or bouquet. 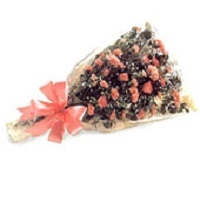 Bunch of Peach or Pink colour carnations roses. Expression bouquet.